Bishop Sanchez was privileged to concelebrate Mass with Pope Francis on Monday, April 4, in the Pope’s chapel at the Domus Santa Marta in Rome. 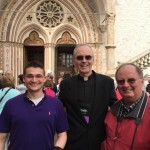 About 15 priests also concelebrated and about 30 people attended. 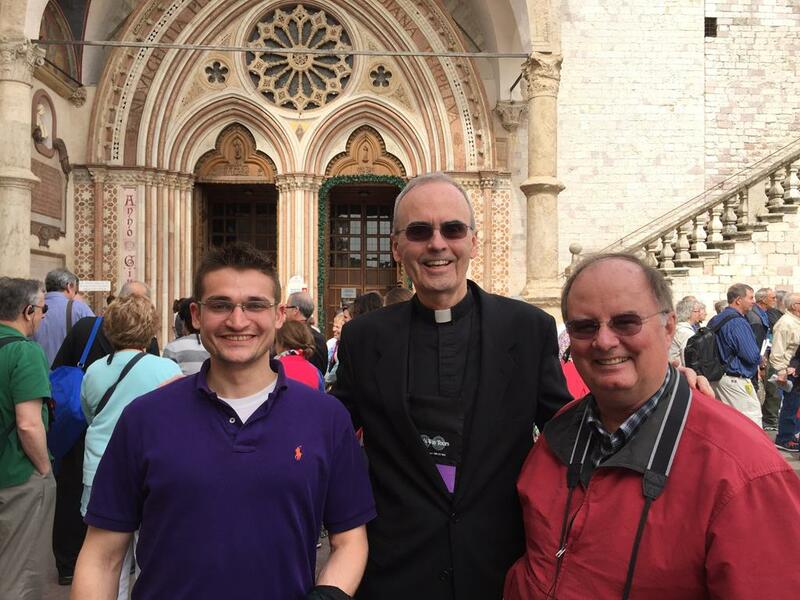 A group of priests from Piacenza, Italy, who were celebrating their 50th ordination anniversary, were among those in attendance. 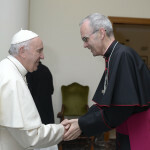 After the Mass, Pope Francis greeted everyone. 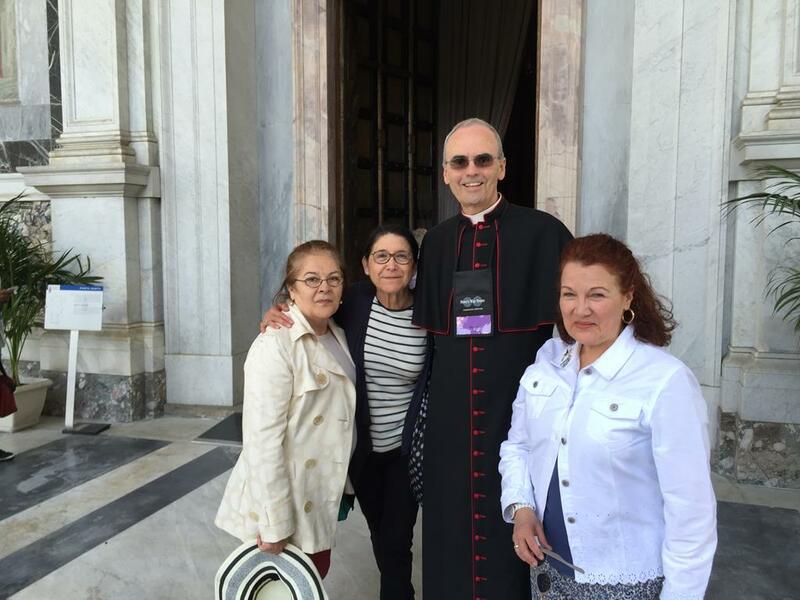 Bishop Sanchez originally shared this series of personal photos and comments (below) from his Year of Mercy pilgrimage as Posts on our Facebook page. 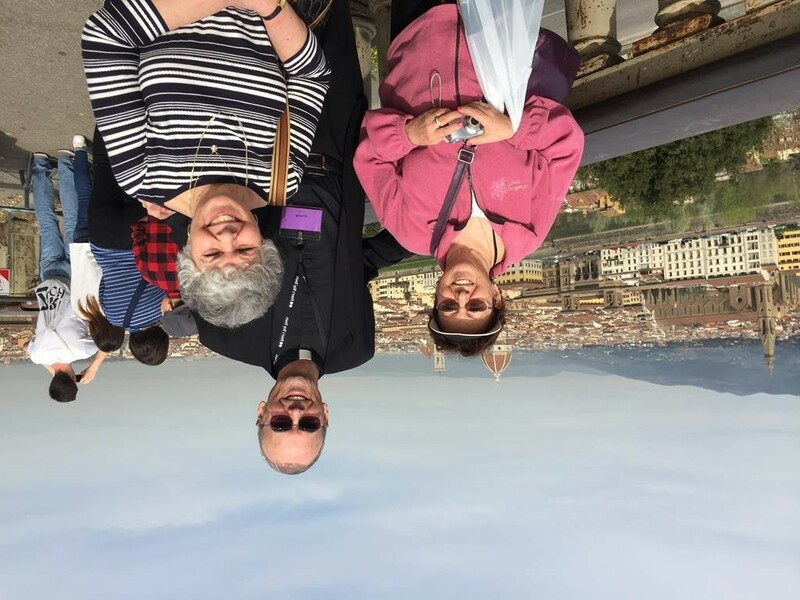 Captions: 1) Bishop Sanchez arrived in Florence with two of the 26 pilgrims who are accompanying him on the Divine Mercy pilgrimage. 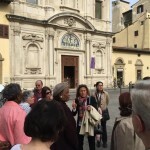 2) The group received some news of Florence before they entered the Church of All Saints, where Bishop Sanchez celebrated Mass for them. 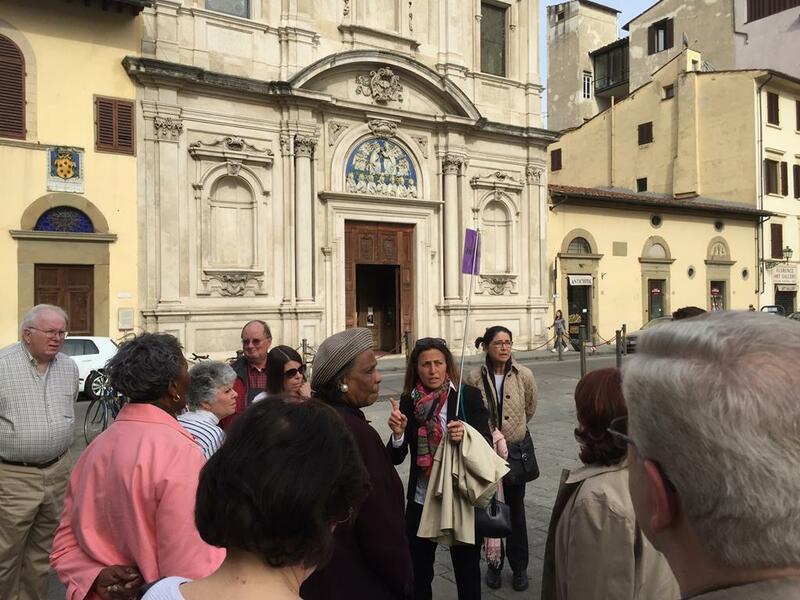 Sandro Botticelli is buried in this church and the family of Amerigo Vespucci dedicated a chapel in his memory there. 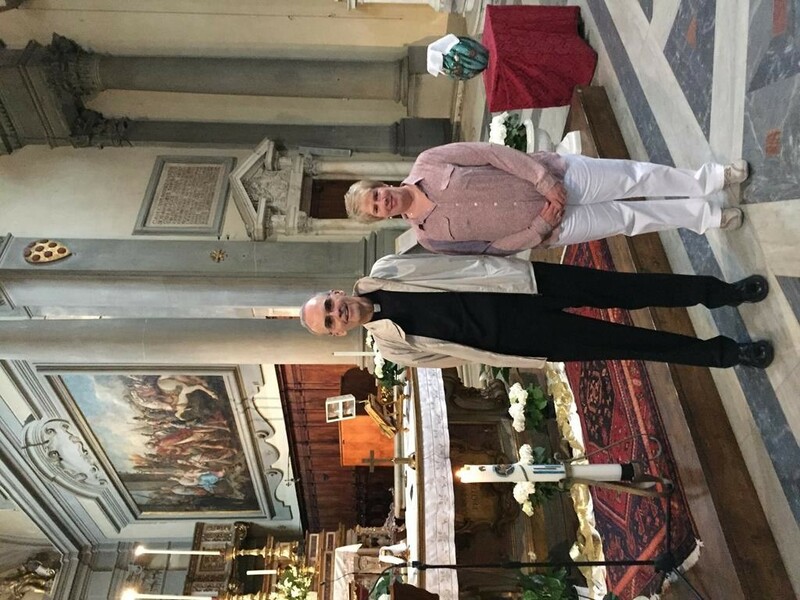 3) With Kellie Kelley from OLQM parish in front of the altar in the Basilica of St. Mark’s in Florence, where Bishop Sanchez celebrated Mass for the pilgrims on Friday morning, April 1. 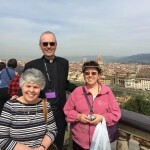 The basilica is located next to the Convent of San Marco, where Beato Fra Angelico painted frescos for his Dominican brothers who lived there. 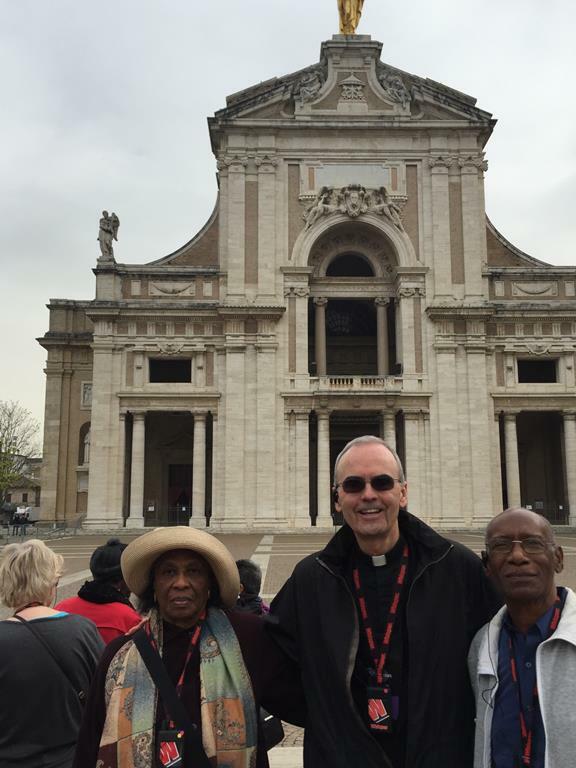 4) On April 2, Bishop joined two pilgrims in front of the lower side entrance to the Basilica of St. Francis in Assisi, Italy. 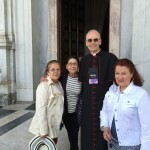 Bishop Sanchez celebrated Mass in a lower chapel of the basilica. 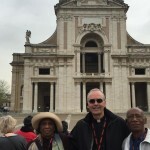 5) With Deacon Gordon Vincent Daniel and his wife, Patricia, getting ready to enter the Church of Santa Maria D’Angeli in Assisi on Saturday, April 2. 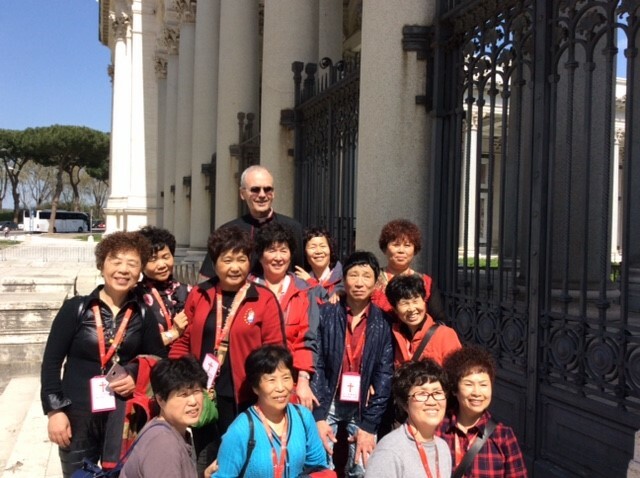 Inside the church is a smaller church called the Porziuncola, where St. Francis prayed with his brother Friars. 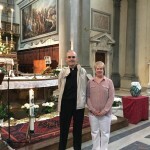 Inside is also a small chapel constructed on the site where it is believed that Francis died. 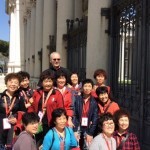 6 & 7) In Rome on April 4, at the Holy Door at the Basilica of St. Paul Outside the Wall, Bishop Sanchez joined three friends in faith and later a group of Chinese Catholic pilgrims. 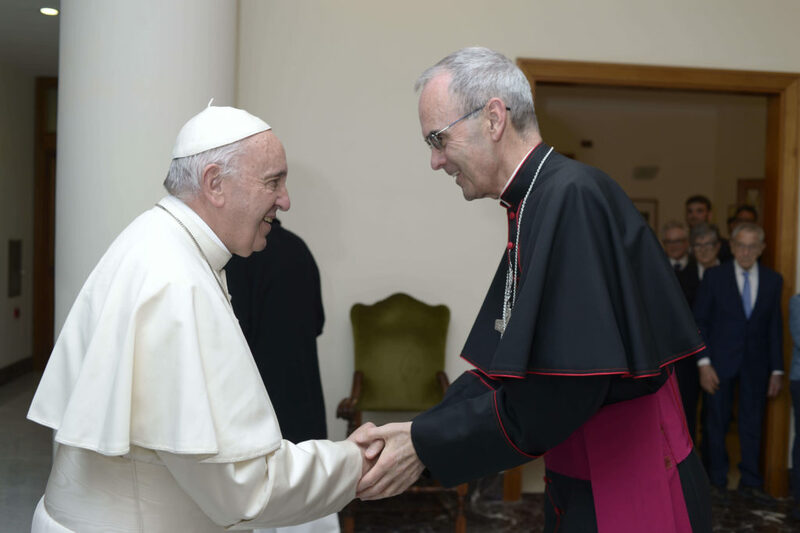 8) Also on Monday, April 4, Pope Francis greeted Bishop Sanchez after Mass in the Pope’s chapel at the Domus Santa Marta.